Bollywood megastar Amitabh Bachchan turned 76 on Thursday - October 11. The multitalented legend of Bollywood is not only an actor. He is also a film director, producer, singer, music composer, writer and TV reality show host. He also dabbled in politics. Amitabh, indeed, has come a long way. Being the son of a famous poet Harivansh Rai Bachchan didn’t really help Amitabh when he started his acting career. The legendary actor had once faced rejection due to his voice, which later became one of the most popular voices of the Bollywood. Amitabh started his career with 1969 film Saat Hindustani (Seven Indians). From there, he didn’t look back and went on to act in more than 190 films in his glorious career spanning over five decades. 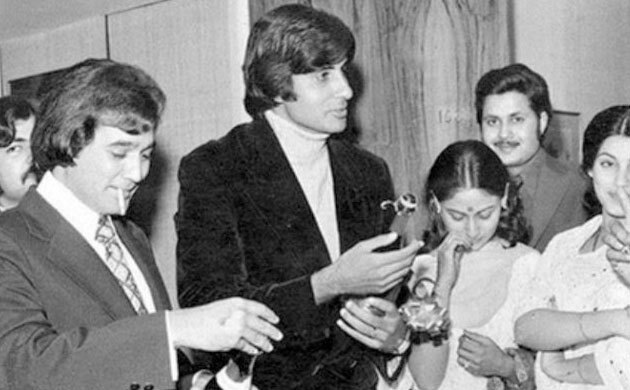 Despite being a megastar, Amitabh Bachchan has always been a family man. 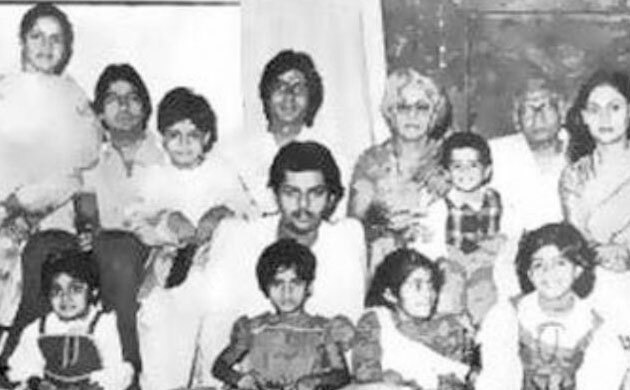 In this picture, the actor is standing along with his parents and others family members. Like most, Amitabh Bachchan is loving father, who never let down his son and daughter no matter how tidy his schedule is. 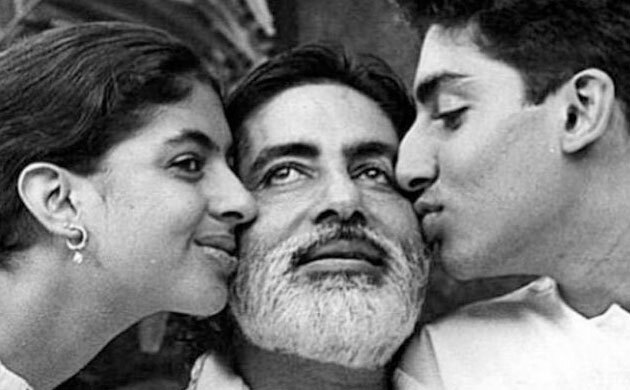 In this photo, Amitabh is with daughter Shweta and son Abhishek. 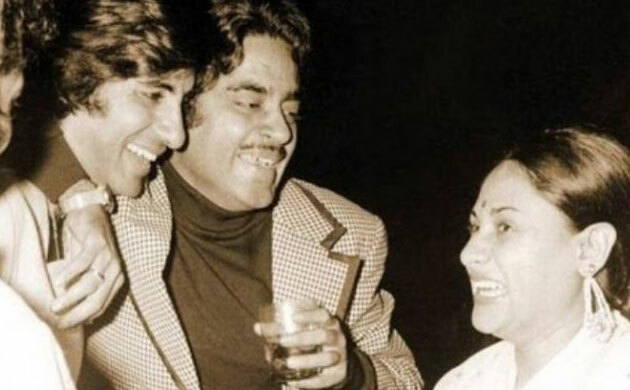 Although Amitabh Bachchan is a more sober and matured man now, he used to be a party animal who would never miss any chance to go out with friends. 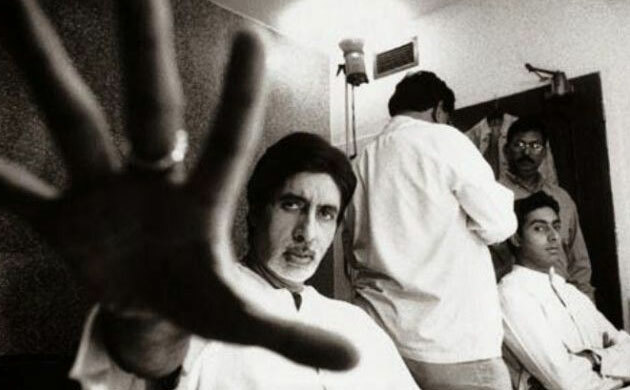 Other than being a family man and loving father, Amitabh has also been a good co-star. He has always maintained friendly ties with his co-stars irrespective of their experience. From the ‘angry young man’ to Bollywood legend, Amitabh Bachchan made people acknowledge his caliber in the acting field. He has acted in over 190 movies in five decade old career.